Anytime you are considering a new product for your hair, the fundamental question is always “Is this going to improve my appearance?” For those of us with especially fine or thinning hair, an improvement is easily defined as “thicker hair”. Hair thickening serums are one way to achieve this (read 7 instant thickening products for more information), but what makes the most difference in adding volume is all about having the right hair dryer (used on the right settings). 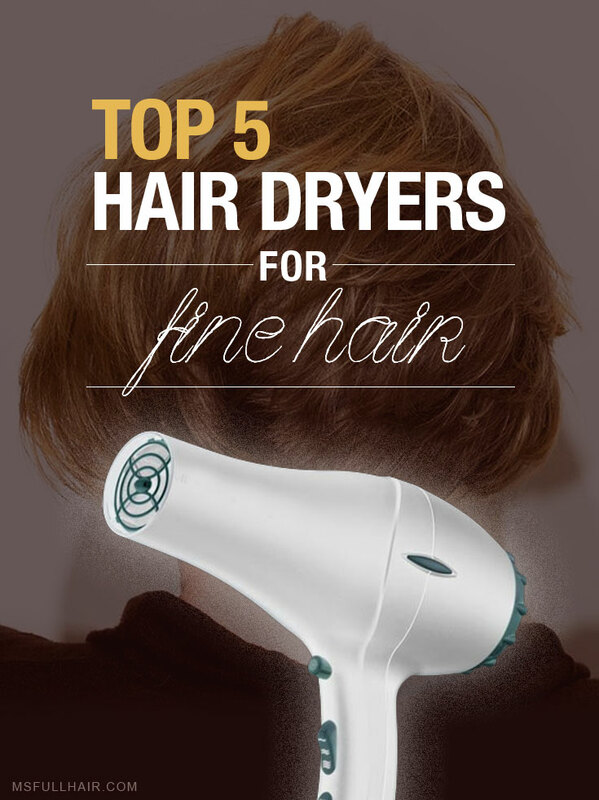 In this post, you will discover what you should look for when it comes to buying a great hair dryer for thin and fine hair types as well as the top 5 recommendations and reviews for what to buy. What should you look for when searching for the best hair dryer for fine hair? People often think higher power simply means a higher Wattage, thus faster drying time. This is true, but wattage is only one part of what makes a high-powered hair dryer effective. It’s standard for professional dryers to have 1875 or more watts these days, even in the brands you find at your local pharmacy. The other thing to look for is the type of motor (especially, if you want to invest in a decent quality hair dryer). In general, professional dryers use AC motors that are known to be more powerful, quieter (less sound), and longer-lasting, while DC motors are often used in the cheaper products found at the pharmacy. A variety of heat and speed settings are critical for getting the best results. You want to use a lower heat and speed setting in order to prevent any unnecessary hair cuticle damage or burning (losing more hair is the last thing you need). Of course, if you are in rush, having a high heat/speed setting never hurts to expedite drying process. There has been a lot of buzz about ionic hair dryers recently. In fact, it’s difficult to find blow dryers that do NOT have ionic technology in them these days. In almost every new model, you will see either always-on ion tech or a switchable (on/off) version. But what exactly does this do for your hair? Ions help to create a smooth surface on your hair by releasing millions of negative ion molecules which attach to your damaged hair strands and seal in moisture. As a result, it makes your hair look and feel smooth with less frizz. Hair dryers with an on/off switch for their ion feature make versatile styling much more convenient. Leave it switched on for a more silky smooth feel… or off for more bounce and volume. (Sedu 4000i is one of the few hair dryers that comes with an ion switch). A “cold shot” button is like a style-freeze button. After drying and styling your hair with your dryer (including brushing and applying hair products), the instant cold air button works to quickly cool and relax the hair strands, thus locking-in the styling you’ve applied. Ceramics have become more common features on hair dryers lately as well. What ceramic tech basically does is to release infrared heat when your hair is drying. Instead of blasting hot air onto the surface (which can really make your hair very brittle), infrared heat goes inside your hair strands for even drying at a faster rate. 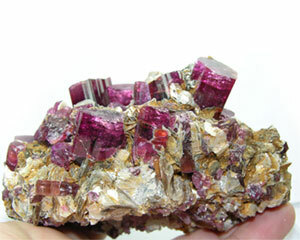 Another popular feature is tourmaline. Hair dryers that are infused with tourmaline minerals enhance the benefits of what ceramic and ionic technologies provide. So you can have smoother and healthier hair in a shorter period time. The Remington AC2015 Tstudio Pearl Ceramic dryer is equipped with quite a number of professional features but at a fraction of cost. It uses a professional AC motor (which typically start from $150 and quickly shoot up, but usually last 3 times longer). Also note that the Remington dryer uses a pearl-infused ceramic feature so that heat is evenly distributed while making your hair look shiny. Patent-pending ceramic pearl technology – for nourishing and sealing hair cuticles to give luster look. Sedu Revolution Pro Tourmaline Ionic 4000i is a professional-grade hair dryer that has everything you could ask for. First of all, it’s one of the few dryers that have an ion switch. Ionic switch makes it very convenient to get versatile looks (on for smooth and straight / off for increased volume). It also has 6 speed and heat settings, which provides a lot of options for customizing it to your needs (perfect for fine and thin hair type). If you are familiar with Harry Josh’s hair dryer (one of the most popular hair dryers right now), you will notice that the Sedu 4000i has very similar features and specifications but costs $100 less. If you want to invest in the best professional hair dryer for thin hair, this is a keeper. Rusk Speed Professional Ceramic-Tourmaline Freak (what a name!) 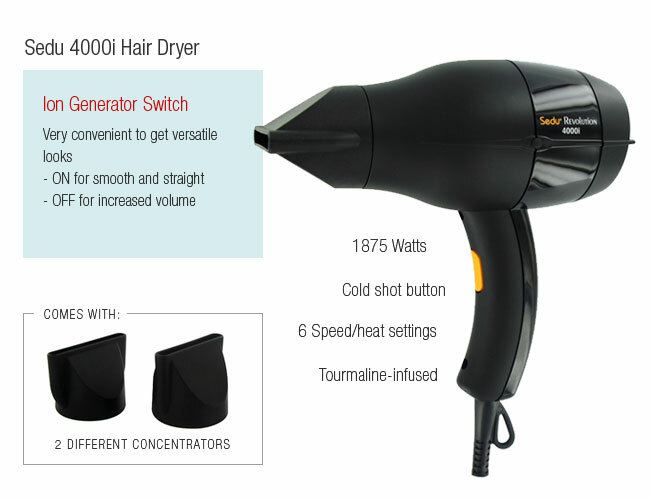 is a 2000W super-charged hair dryer (in other words, much faster drying time). What makes this dryer appealing is that it is infused with both ceramic (for even heat distribution) and tourmaline minerals (to add extra glossiness to your hair while removing static and frizz). With the ceramic infrared heat tech, it provides maximum drying with minimum damage. If you are more budget-conscious, the Conair 1875 is a great hair dryer for fine hair types. It currently goes for a little less than $35 (uses DC motor), but the dryer is equipped with popular high-end features such as tourmaline and ceramic technologies. These technologies help prevent heat damage while making your hair dry evenly. The ionic conditioning feature combined with tourmaline minerals also eliminates a considerable amount of static, especially if you have thin frizzy hair. The Conair dryer comes with 3 heat and 2 speed settings for versatile styling. Since fine hair is more on the delicate side, the lower heat and speed setting will work great regardless of whether you have long or short thin hair. The Babylis Pro TT 3000 Dryer (model no: BABTT5585) is also another great option if you are looking for a professional quality dryer at a more reasonable price (under $100). It has 1900 Watts of power and great air pressure for quick drying time and is combined with tourmaline and ceramic technologies. The dryer comes with 3 temperature settings (hot, warm and cold) and 2 different speeds (high and low), which makes it fairly good for versatile styling. If your hair is fine and thin, it’s recommended to use the warm temperature and low speed settings for everyday use. It also comes with a cold shot button to keep your style long-lasting. So What’s your best hair dryer for thin hair? Choosing the perfect hair dryer can be a daunting task since there are hundreds of brands to choose from. We listed the top 5 picks narrowed down based on technology, value, and hundreds of customer reviews. If you are still not sure, go with the Sedu 4000i – one of the most recommended professional hair dryers by both stylists and customers. If you are budget-conscious but still want the most bang for your buck, the Remington Ceramic dryer will be a good option. What’s your favorite hair dryer?